A recent survey* of 1,000 respondents reveals that almost 2/3 (63%) of adults don’t realise they can take a tax free lump sum of 25% of their pension pot or up to 1.5 times their final salary. This is worth up to €200,000** tax free (and up to a further €300,000 taxed at 20%) is available on larger funds. 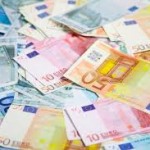 The average pension holder can expect to receive a tax free lump sum of €27,000 based on an average pension pot of €108,000***. “The larger your pension pot, the larger the tax free lump sum you can avail of,” said Sanjeev Kopan, head of proposition, Standard Life. Just 37% of respondents said yes and almost two thirds or 63% said no. Men are significantly more aware of this entitlement than women with 45% vs 30% saying yes, respectively. Surprisingly only 57% of those with pensions were aware of this benefit. Frank Lynch, our pensions expert says this survey confirms the importance of pension savings and also highlighted that for the next 12 months there is an opportunity to access up to 30% of any AVCs (Additional Voluntary Contributions) you may have. * The survey results are based on an independent, online survey conducted by Research Plus Ltd on behalf of Standard Life of 1,000 adults aged 18+ between 19 and 30 December, 2014. 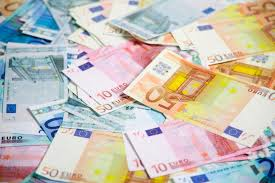 ** €200,000 is the maximum tax-free lump sum that an individual can take. ***If we assume the average defined contribution pension fund value is around €108,000 (as per Standard Life survey of 1,000 adults aged 18+conducted between 19 and 30 December 2014) then the average tax free lump sum an individual is entitled to is €27,000.